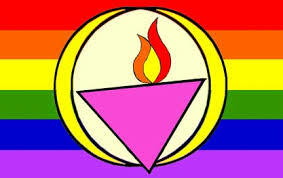 Sunday gathering is a hallmark of Unitarian Universalist (UU) congregations. We call this time “the service,” “worship,” the “Sunday program,” or just plain “church.” We gather for inspiration, reflection, connection, and religious education. Following the service, there is often a casual gathering in the Social Hall where members and visitors can get to know one another (often known as “social hour” or “coffee hour”). This can be an excellent time for newcomers to make connections and learn more about the congregation and Unitarian Universalism in an informal atmosphere. Two Sundays a month, UCoT hosts a sharing circle at the regular location. Members gather for community-spirited listening and sharing on a specific topic. If you are a good listener—and appreciate being listened to—please feel free to join us. Please visit our Upcoming Services and Sharing Circles page for more information.